Square Enix has revealed Collector's Edition for their upcoming World of Final Fantasy, along with the Limited and Day One editions. 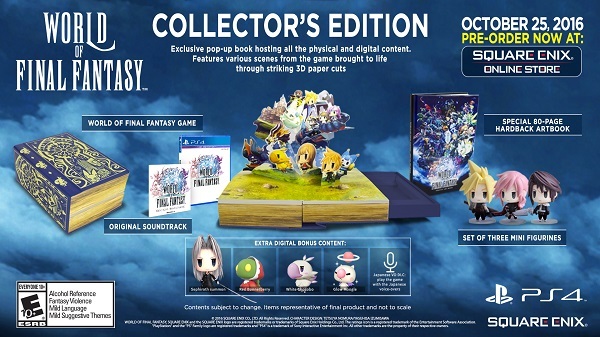 Including a pop-up book, digital content, an 8-page artbook and more, the Collector's Edition is exclusive to the Square Enix Online Store. Check out the full list of contents for all three editions below. Additionally, a brand new trailer showcasing the land of Grymoire was revealed today.